Dr. Hangorsky is Interim Chair of the Department of Periodontics and Associate Dean for Student Life, Admissions and the PASS Program. A Clinical Professor of Periodontics, Dr. Hangorsky teaches periodontics to second-year DMD students and the periodontial review courses for PASS students. He is also former Associate Dean for Academic Affairs at Penn Dental Medicine. 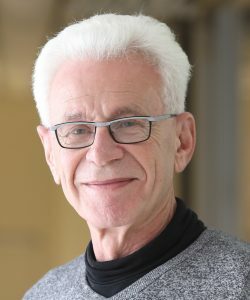 Dr. Hangorsky also led the development of and was among the faculty who taught the School’s first open access course on the University’s Coursera platform, presented in June 2015. Active on a variety of academic committees within Penn Dental Medicine, he presently serves on the Student Advancement Committee, the Dean’s Advisory Committee and Chairs the Competency Review Committee. He is also an active member of the American Academy of Periodontology, American Dental Association, OKU Honorary Fraternity, ADEA Policy and Research Advisory Committee and serves as a CDCA (Commission Dental Competency Assessments) Consultant/Examiner, CODA (Commission on Dental Accreditation) Accreditation Consultant, ADEX (American Dental Exam) educational representative.